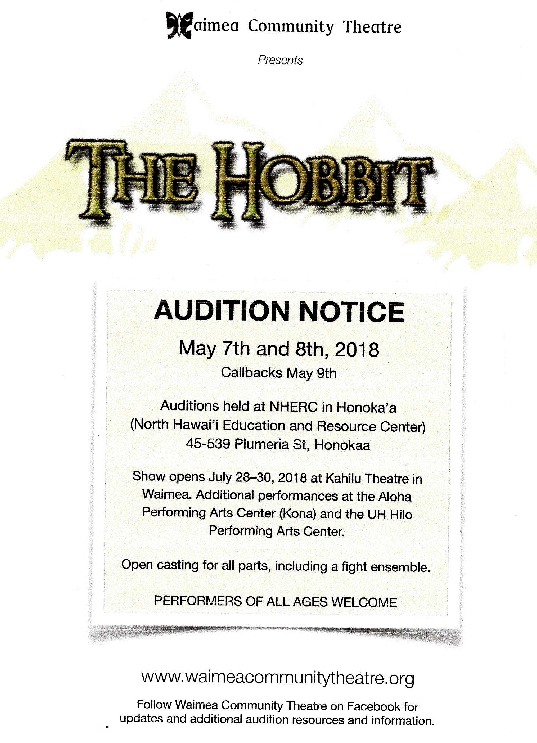 Auditions for the Waimea Community Theatre production of The Hobbit are coming up May 7 & 8, 2018 at the North Hawaii Education and Resource Center in Honokaa. The show opens July 28-30, 2018 at the Kahilu Theatre in Waimea. Additional performances will be in Kona and Hilo.